A 1954 Ferrari 500 Mondial Spider and a 1957 Porsche 550A Spyder are the lead cars for the 2019 RM Sotheby’s Villa Erba sale in Italy. RM Sotheby’s is announced of two important 1950s sports racing cars for the biennial Villa Erba sale, due to take place on 25 May 2019 during Concorso d’Eleganza Villa d’Este weekend on the shores of Lake Como, in northern Italy. 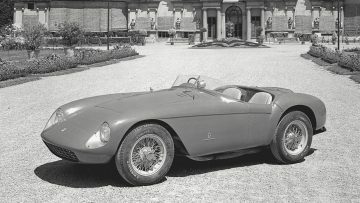 The original, matching-numbers 1954 Ferrari 500 Mondial Spider, estimate $4,800,000 to $5,400,000, was the 12th of only 13 produced and was actively raced in period in the USA. The 1957 Porsche 550A Spyder, estimate $3,800,0000 to $4,300,000, is one of 40 cars made exclusively for racing and comes with a documented global competition history that include competing in Denmark and Kenya. The fifth biennial RM Sotheby’s Villa Erba sale was scheduled for 25 May 2019 as part of the Concorso d’Eleganza Villa d’Este on the shores of Lake Como in Italy. In 2017, RM Sotheby’s grossed €25,355,850 from the sale – just slightly less than the $26.7 million earned in 2015 (from fewer lots but including a model record result for a 1952 Ferrari 212 Export Barchetta that sold for €6,720,000 ($7,400,736)). The sell-through rate was a relatively weak 62%. The lead car for the 2019 RM Sotheby’s Villa Erba sale is a matching-numbers 1954 Ferrari 500 Mondial Spider, chassis 0448 MD, estimate €4.250.000 to €4.750.000 ($4,800,000 to $5,400,000). It was the 12th of only 13 Pinin Farina Spiders built and one of only five with covered headlights, placing it in the first series of cars. 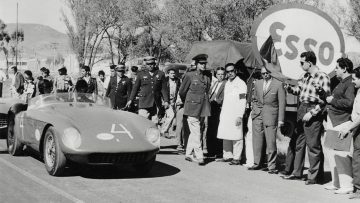 This Ferrari 500 Mondial Spider was sold new to Anthony “Tony” Parravano of Inglewood, California. Parravano quickly made himself known as an entrant of numerous exotic Italian sports cars in Californian racing circles. In February 1955, at Willow Springs, it placed 4th overall and 1st in class with Bob Drake at the wheel. 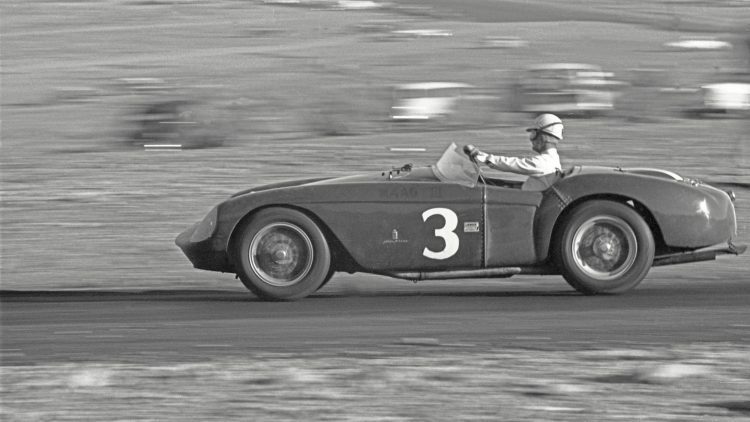 In March of 1956, at the same venue, 0448 MD was driven to a 3rd place finish by Pat O’Connor. The car has been lovingly owned by a number of North American collectors and has enjoyed periods of long-term ownership, although it has seldom been seen since leaving the race track in the late 1950s, making it highly eligible for historic racing and concours events. More recently, the car has returned home to Maranello, where it was inspected by Ferrari Classiche and granted red-book certification. Furthermore, the car’s certification binder confirms that it retains its original engine, gearbox, and bodywork, truly affirming its status as one of the finest 500 Mondials in existence. 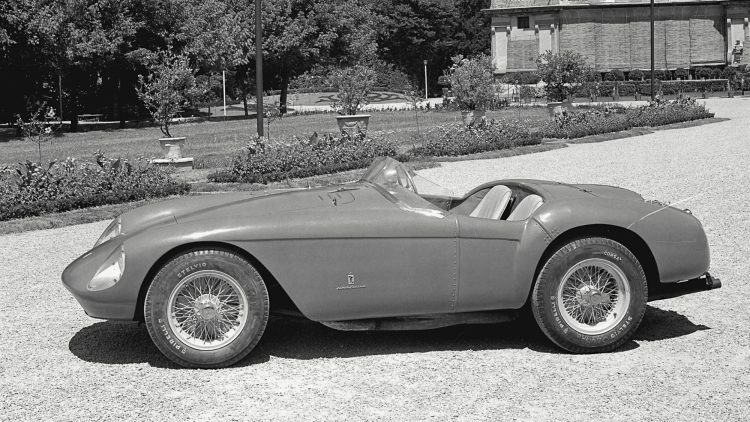 Ferrari 500 Mondial Spiders are rare and as racers often had a hard early life. Three 500 Mondial Spiders were sold at public auction since 2017 at prices ranging from $3 to $5 million – both condition and racing history play a major role in valuations. 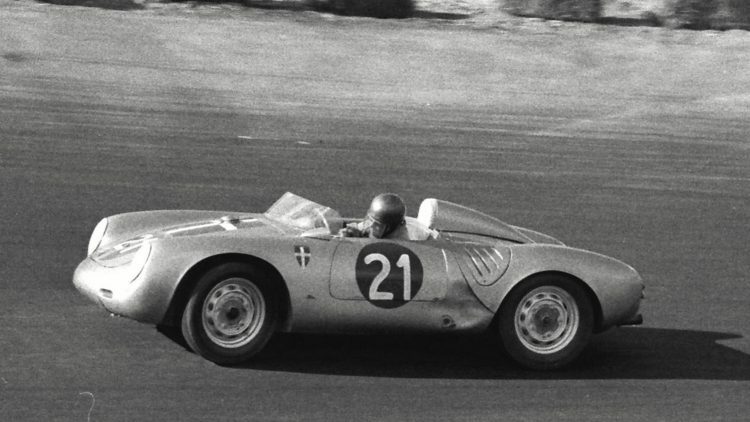 A second 1950 sports car racer on offer at the Villa Erba 2019 sale is the 1957 Porsche 550A Spyder, chassis 550A-0121, estimate €3.400.000 to €3.800.000 ($3,800,0000 to $4,300,000). It comes with a fascinating ownership and competition history, having been entered in events all over the world. Chassis no. 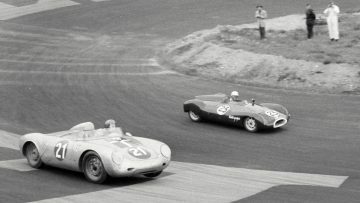 550A-0121 was first delivered to Denmark in 1957 and would become the only 550A Spyder delivered to that country, where it raced in a number of events before it was sold to an owner in Kenya, where it also ran as a competition car. In the late-1970s, the Porsche was sold to Giuseppe Freschi in Italy, who entered the car into many iterations of the famous Mille Miglia endurance race for classic cars. In 2011, the Porsche 550A Spyder was sold to its current owner, and the car has undergone a complete, body-off restoration led by Porsche specialists, returning the Spyder to its original configuration and livery. 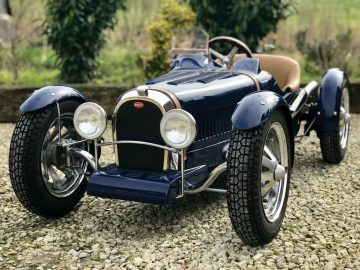 With its recent restoration work, the 550A Spyder is ready for vintage racing or concours events, having only covered 100 km on the road since returning from the workshop. This incredibly rare and sought-after Porsche is estimated to achieve between at auction. With only around 130 Porsche 550 Spyders produced in all versions, these cars that were often raced hard in period are rare and seldom come to auction. Only two 550A cars were sold at auction in recent years, including a Works 1958 Porsche 550A Spyder that set a model record when it achieved $5,170,000 at the Bonhams Scottsdale 2018 auction. That car was an official Porsche Works entry that finished the 1958 Le Mans 24 Hours race second in class and fifth overall. RM Sotheby’s sold a Porsche 550A for $4.9 million a Monterey 2018. Three non-racing 550 versions sold at auction since 2016 with prices ranging from $3 million to the $5,335,000 achieved for Jerry Seinfeld’s 550 Spyder at Gooding Amelia Island 2016. Among the small but select collection of automobilia is an electric Bugatti Type 35 Children’s Car confirming that rich boys get the best toys.